Experience the High Holidays with Chabad! Enjoy an uplifting Rosh Hashana and Yom Kippur experience with your fellow students, no matter your background or affiliation! Join us for meaningful and inspiring explanatory services and/or meals where you will find a warm and friendly family atmosphere. Services and meals are geared to undergrads, grad students and faculty. You may join us for the meals and the services, or just for meals or services. 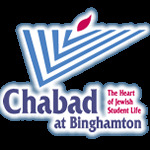 All events will be held at the Chabad Center, a 4 minute walk from Newing (click here for directions) , unless otherwise noted. There are no tickets required nor financial appeals. Period.